Today's adventure took me to an untried location. It was pretty sketchy, but even so I found a couple of things I can use. Here you see an oval scrapbooking template. 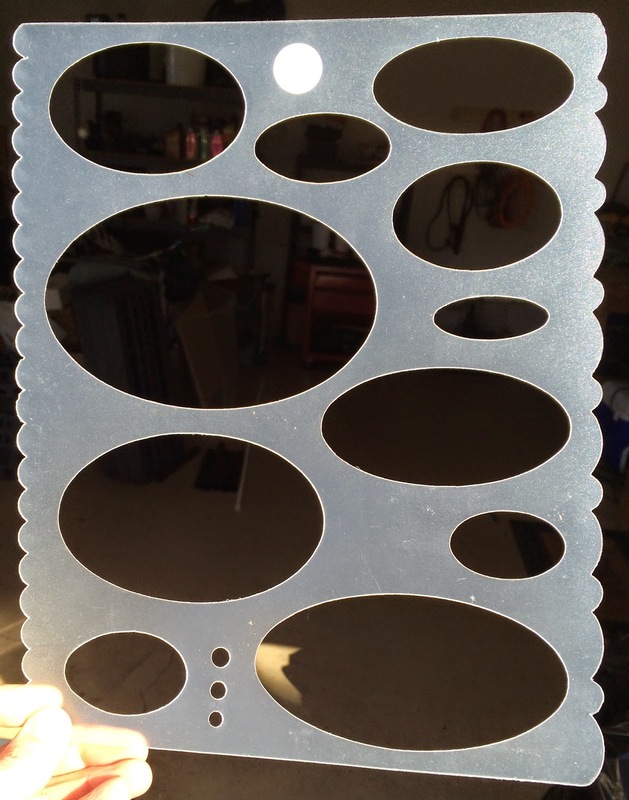 I can use this to expand the repertoire of shapes I use in my up cycled tin container pieces. I like circles and squares, but it's nice to have some interesting alternative shapes too. They also had a huge cache of good quality white poster board, I snagged a few pieces @ .25 each for kid projects that always seem to crop up. Speaking of tins, this is the only one I found today. It commemorates the 1986 wedding of the Duke & Duchess of York. 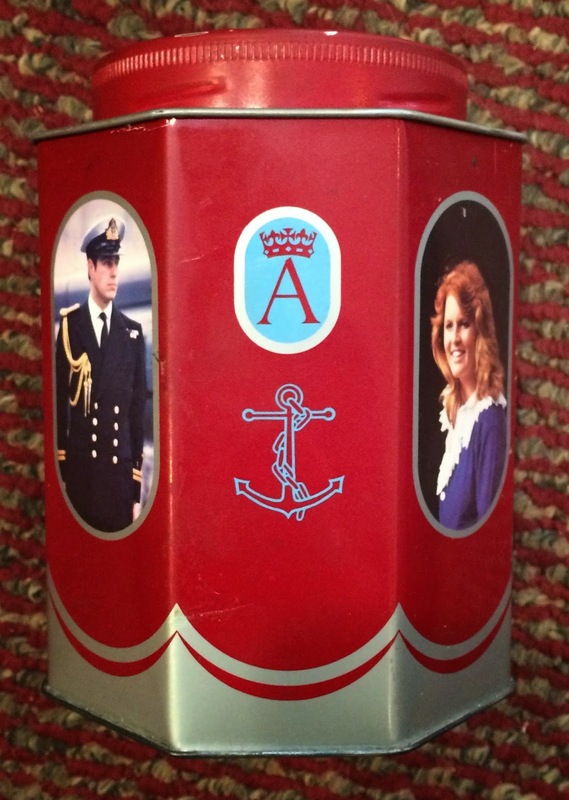 I mainly picked this one up because of the crest on the lid, and the 3 fouled anchors on the sides. I'm sure they are lovely people, but I am not planning to make jewelry from their faces! It's pretty grungy, but Mr. Clean magic eraser and a spin through the dishwasher will fix that. 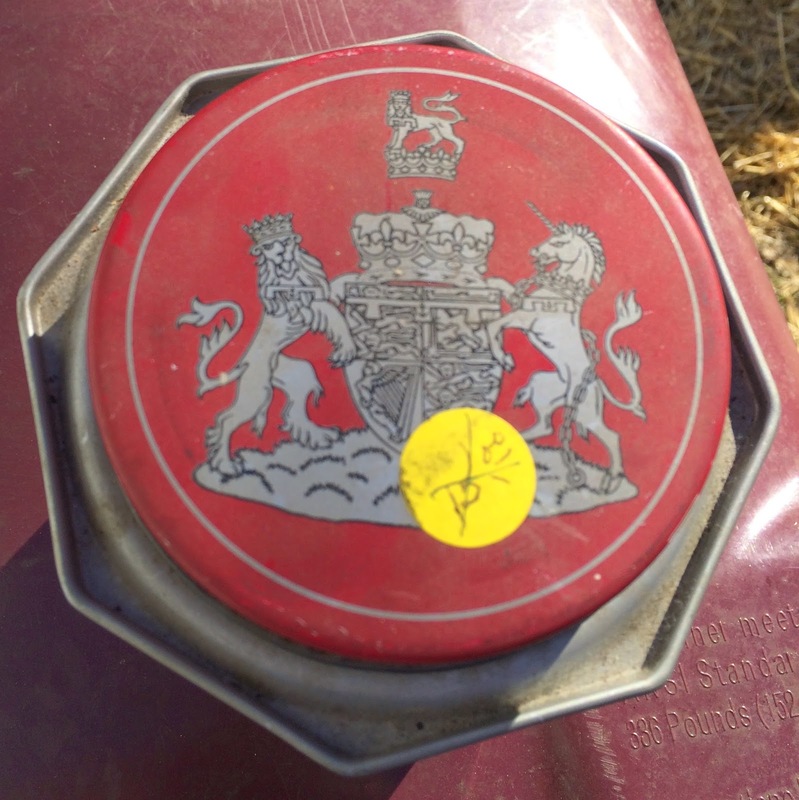 This tin is marked $15, but I would never pay that- a buck fifty is more my style and that's what it cost me. 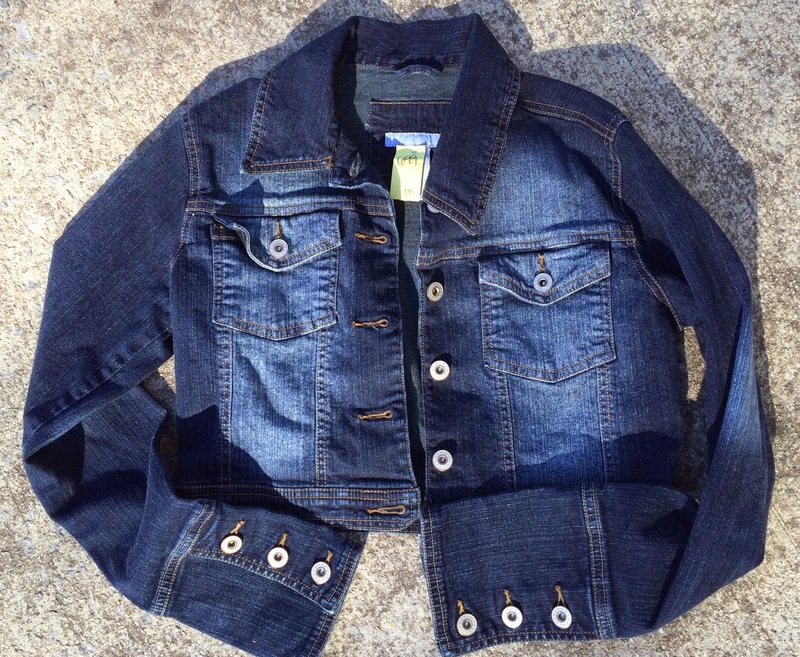 Last on the list today, little denim jacket. 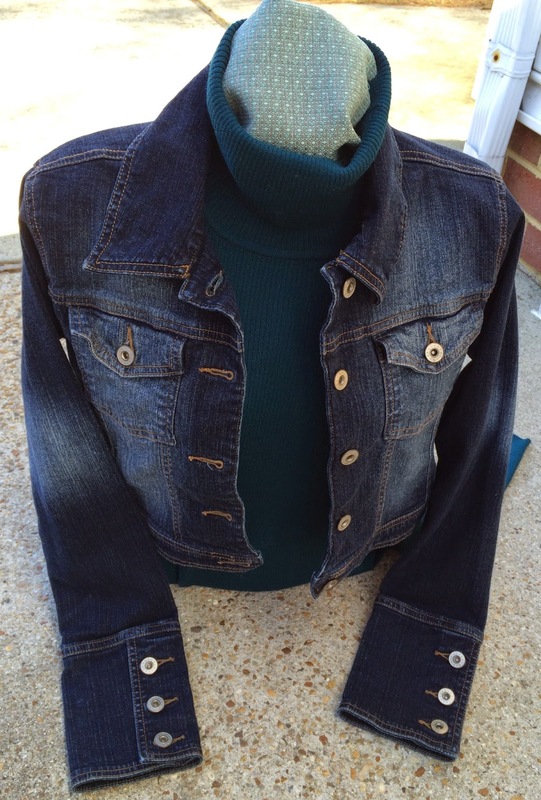 I added a mannequin form to my display a few months ago and I have been struggling to dress 'her' in a cool way. I want her to represent my target client. I envision a gal who likes to be chic but comfortable. I think this little jacket hits the mark. It works great on the form because it's actually cropped and a bit tapered. This was $6.99 at my CHKD. A quick test drive on the mannequin before Saturday's little show. I like this, just needs a little tweaking! Great Bridge High School 3/21/15 9-4 for the Spring Craft Show.